All the rapidfire presentations from the Firefly Summit are now free to watch on the Firefly website. The Firefly Summit was an overwhelming success. 200 podiatrists descended on the northwest of Ireland for a podiatric event like no other. We invited 20 [10 female and 10 male] of the leading podiatric clinicians to present at the event, however, we wanted to move away from the traditional conference format. We tasked our Summit speakers with delivering their talks in under 10 minutes. Keep it short, but impactful! Delegates were offered clinical gold on a range of topics from how to group the business element of a podiatry practice to communicating podiatric pathomechanics to the patient. 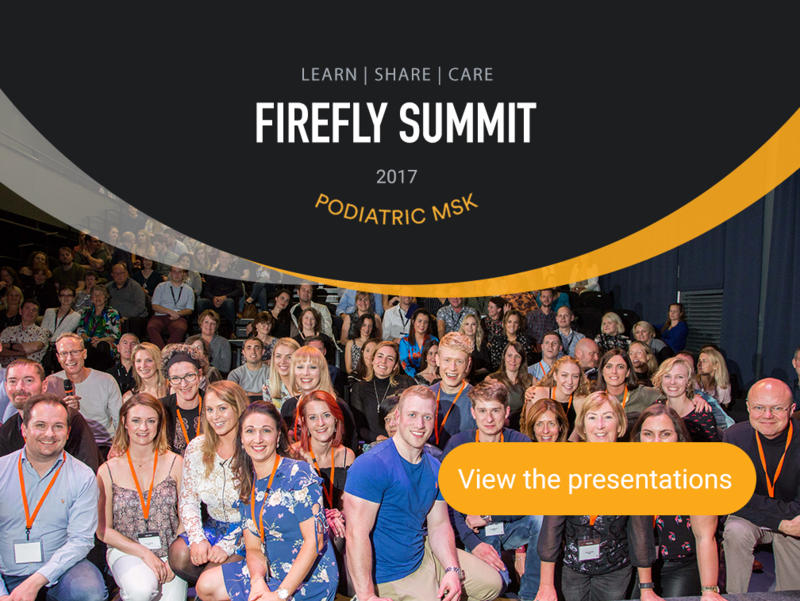 Whether you were lucky enough to attend the Firefly Summit or not, you can now view all 20 presentations online. Just click the button below. Firefly is developing a tradition of hosting valuable educational events. In 2008, 2011 and 2014 Firefly hosted the Podiatric Biomechanic Symposia [PBS] in London. The Firefly Summit’s rapidfire presentations now join the presentations from the 2008 and 2014 PBS events, free to view on our website. The 2011 PBS videos are being updated and be available shortly.